STATESVILLE, N.C. (May 17, 2017) – Don’t call it a moral victory, Bret Homes and his No. 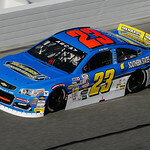 23 Holmes II Excavation/Southern States Bank Chevy team were disappointed in the outcome of the General Tire 200. They weren’t going to be content with a top-five finish on his home track; they wanted the win. Some might call it rebellious, but that’s just Bret. Take it or leave it, Holmes is, simply, just not your average driver. He’s won on every level he’s driven, he’s driven to win, and sometimes going for the win doesn’t always end in fame and glory. Holmes got turned on the backstretch making a run for the lead at Talladega Superspeedway two weeks ago and wound up hitting the outside wall head-on to bring a painful end to what was shaping up to be an epic day at his home track. He finished 22nd, only his second finish outside the top 13 in 11 career ARCA starts, but was running fourth at the time of the mishap. 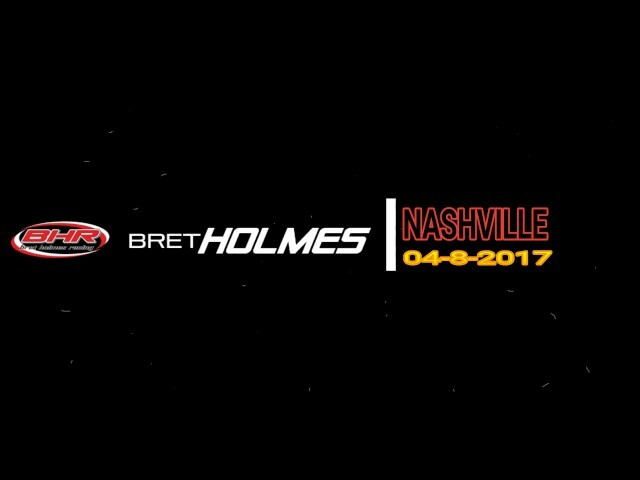 Since the Talladega disappointment, Holmes is dead-set on getting back to the basics. He finished his last semester final at Auburn the night before the Talladega race, and that has allowed him to become more involved in the shop on a day-to-day basis. He was at the Statesville, N.C. based shop today prepping the car that will be run at Toledo this weekend as he spoke about his expectations for the summer. Holmes has never run at Toledo Speedway before but sees similarities in the layout of the Ohio track and another speedway he has run well at in the past -- Five Flags Speedway in Pensacola, Fla.
Holmes feels like this weekend could be the turning point to an up and down season so far. With four starts in the ARCA Racing Series Presented by Menards in 2017, Holmes has two top-10 finishes and one DNF at Talladega; his other finish at Nashville was an abysmal 13th-place run marred by an unforeseen mechanical issue that hindered his performance. It has not been what the Munford, Ala., native expected, but his growth and understanding from the misfortunes of the previous events have led him to believe that things are finally looking up. “If we just work on every little thing we can, the wins will come,” he said. “It is just a matter of getting a little luck to go our way and finding out that formula then applying it to every track we go to throughout the remainder of the season. If we do that, it’ll come together. “I’m not too worried about it. We have a lot of grit and determination in us. Maybe it’s just our nature, but we don’t quit, and we won’t quit until we get that first win. There is just no other option." 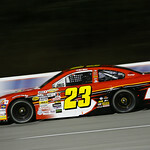 Holmes will make his first start at Toledo Speedway Sunday in the Menards 200 presented by Federated Car Care with the expectations, as usual, that a win will follow. The Menards 200 presented by Federated Car Care starts at 2 p.m. Sunday, May 21. In addition to Live Timing & Scoring and Live Chat on arcaracing.com, the race will air later that day on FS1 at 5 p.m. (EST).